Claire is a qualified accountant and MBA and has particular expertise in financial and risk governance, and in helping organisations to engage properly with those who use services and to learn from what they say. She has more than 30 years’ experience at executive and then non-executive levels across the public and charitable sectors. Board non-executive experience includes serving on three NHS boards since 2010, and Claire is currently a non-executive director at Gloucestershire Hospitals Trust, following four years as Chair of Healthwatch Gloucestershire. Currently, Claire has one other government appointment as NEBM and Audit Chair at the National Archive. 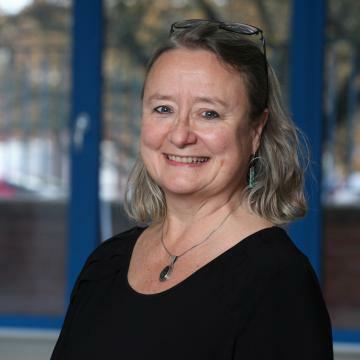 She also holds board positions with The Guinness Partnership (to September 2018), Alliance Homes and volunteers as a Trustee with Stroud and Cotswolds Citizens Advice and as a Committee member with the National Trust. Claire’s academic background was originally in modern history and she completed a first degree at King’s College London and worked in the archive of the War Studies Dept. there. She later gained a PhD in English in 2008 from London University, examining the political debate about how to teach the humanities and literary heritage, and taught at Birkbeck College and the School of Advanced Study. She has particular research and teaching interests in Cultural Memory and has published on the memorialisation of military conflict. She is currently working on the University of Bradford archive of Dr William Allchin, POW, psychiatrist and peace builder. Claire is delighted to have been appointed as a Trustee to the Heritage Lottery and National Heritage Memorial Funds. Aside from her particular research interests, she loves to visit the small islands of Europe, watch their bird life, and discover how history and population movement leave their traces on the landscape.